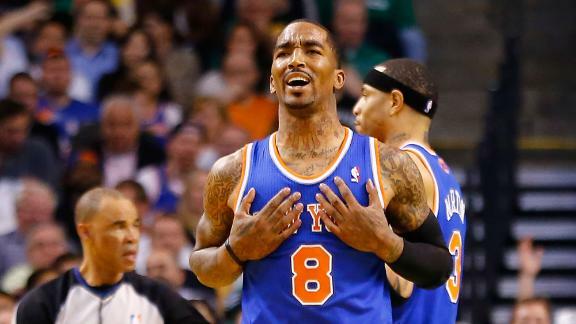 You can take the JR Smith out of the #KnicksTank. But you can’t take the #KnicksTank out of the JR Smith. Shades of Knicks vs Celtics Round 1 Game 4 from 2013, when JR, with a 3-0 lead in Boston, got ejected for elbowing Jason Terry for no reason. That was EXACTLY two years ago today. This entry was posted in Articles and tagged JR Smith, jr smith dumb, jr smith ejected, jr smith elbow, jr smith jae crowder, JR smith jason terry, jr smith stupid, KNICKS MEMES on April 26, 2015 by Tommy Rothman.